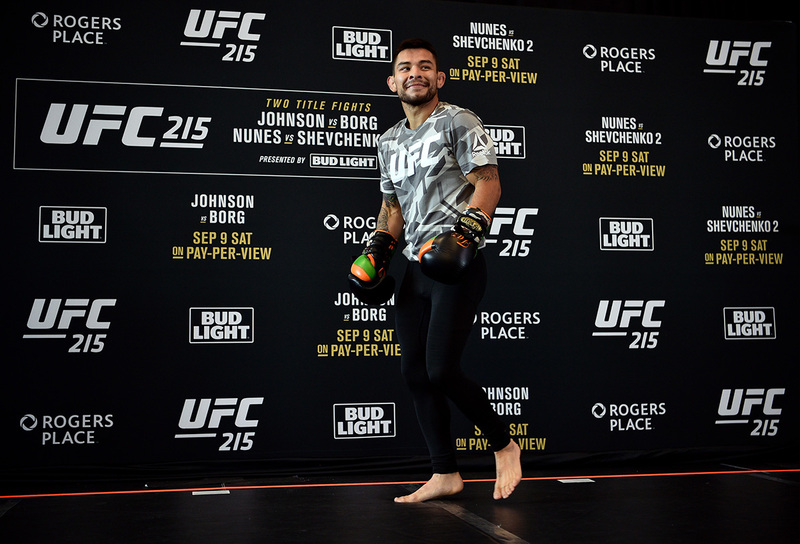 Edmonton, Canada – On Thursday, September 7, the headlining stars of UFC® 215: Johnson vs. Borg took to the mats at highly anticipated open workout at Ford Hall at Rogers Place. 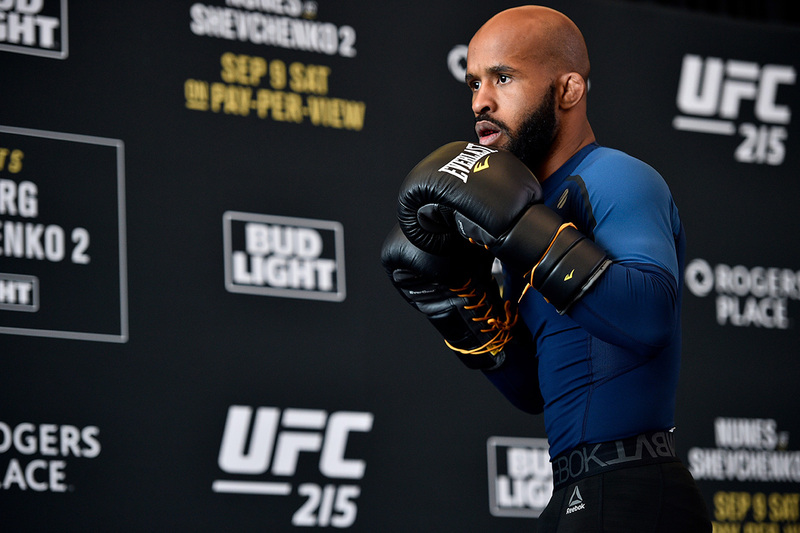 Eager fans lined the venue for a look at UFC® flyweight world champion and pound-for-pound great Demetrious Johnson, surging prospect Ray Borg, women’s bantamweight champion Amanda Nunes and No. 1 contender Valentina Shevchenko. 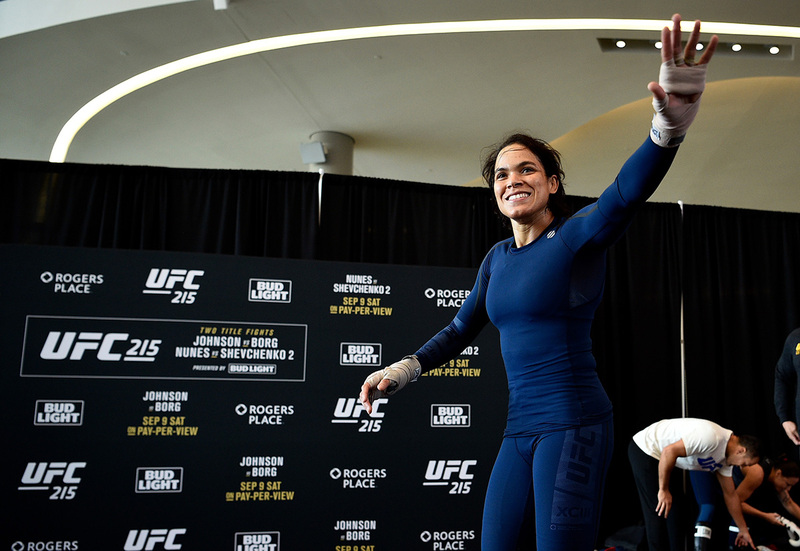 UFC 215: Johnson vs. Borg is UFC’s first-ever event in Edmonton at Rogers Place and takes place on Saturday, September 9. Edmonton now becomes the 10th Canadian city to host a UFC card. UFC® 215: Johnson vs. Borg marks the UFC’s second Canadian event this year, following a successful return to Halifax in February. 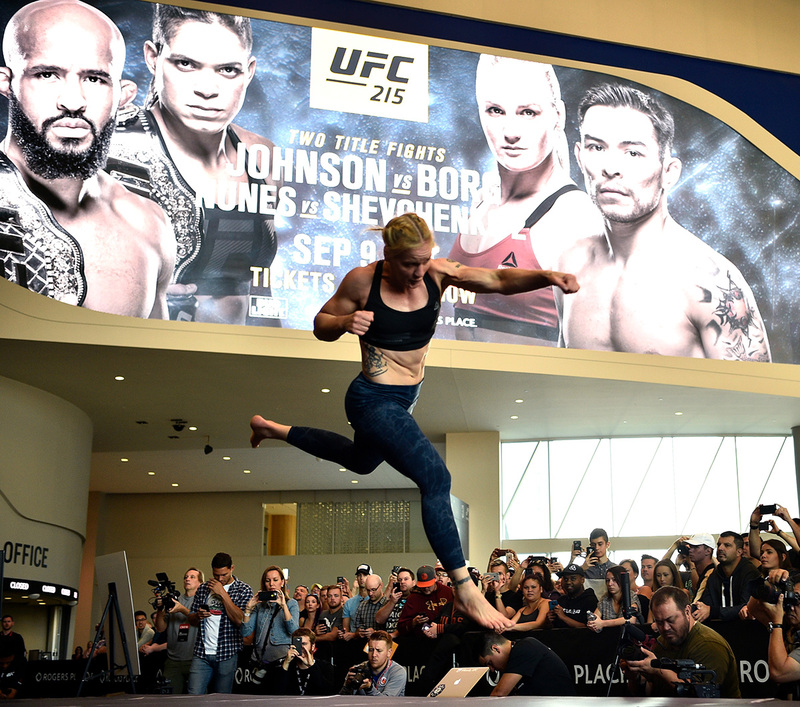 Photos by Jeff Bottari / UFC – Zuffa LLC.